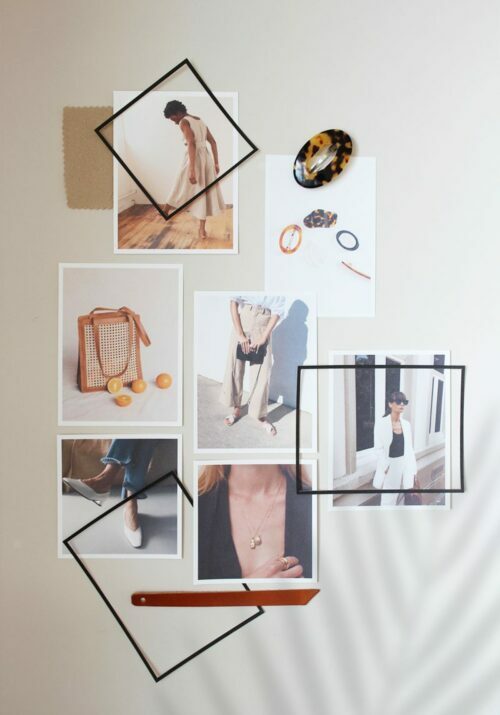 Today’s post is all about spring style inspiration! As usual, I’ve got a number of pieces and categories on my radar for the season ahead and I always enjoy sharing those ideas with you. I also love seeing what other folks are excited about because it helps me renew interest in pieces I might already have and plan for potential updates! Until recently however, I was having a tough time finding inspiration for my personal style. So with that in mind I’m beginning this post by sharing a brief note about my mindset leading into this new season. I always find that when I spend time looking inward it translates into a clearer outward vision too. 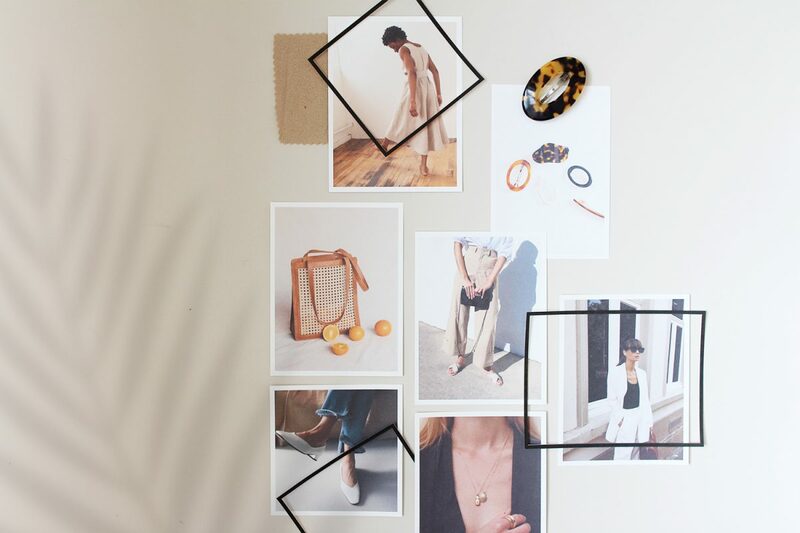 It was such a blast to create these visuals in addition to dreaming up style ideas for the season ahead, so I hope this is a fun post to look at and read through. Now let’s dig in! 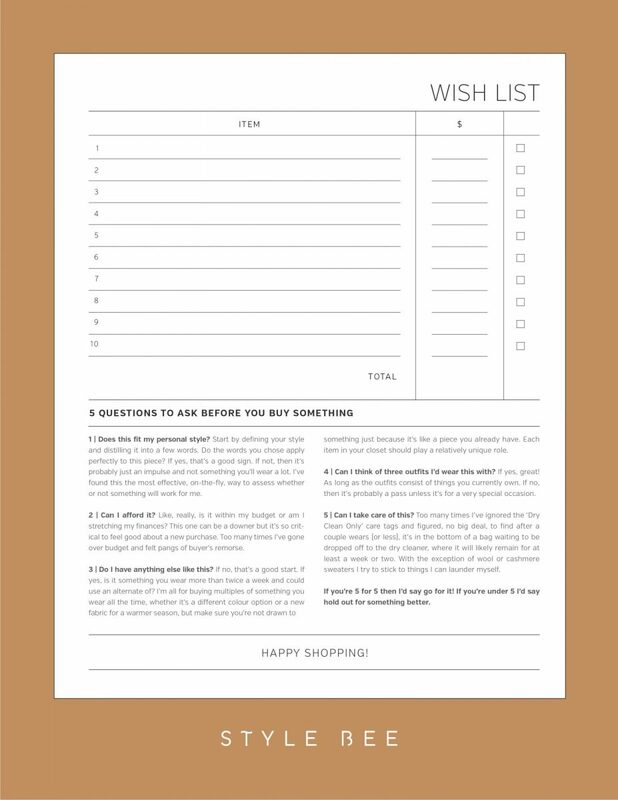 Scroll down for my tips on creating a useful wish list, along with a free worksheet and 5 questions to ask before you buy something. Up until a couple of weeks ago, I haven’t been inspired to plan or think about my personal style. This winter was a particularly dreary one and I couldn’t seem to find my usual enthusiasm towards my closet or content creation. Luckily, as with so many things in life, when you stop forcing it to happen, it finally does, which was the case for me this spring. I’m thankful that this phase has ended for now but I thought I should share this because no one is impervious to creative ruts. 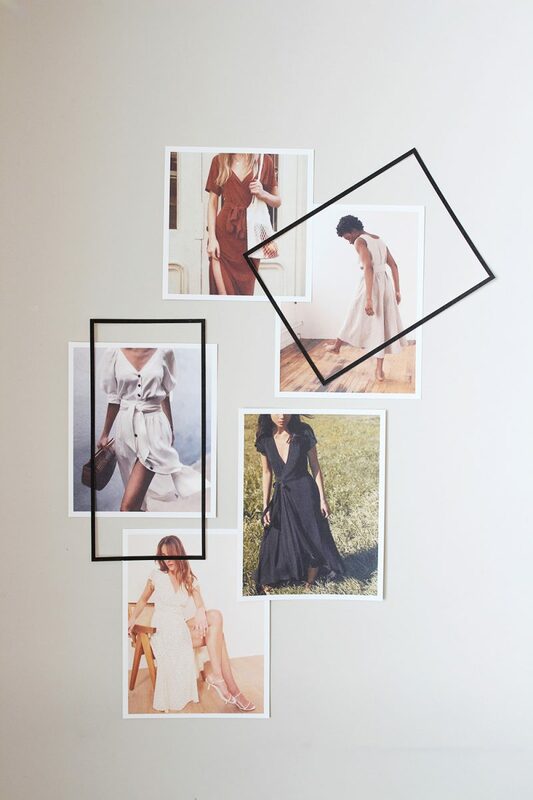 These longer days, some hints of warmer weather and a solid dose of Pinterest were precisely what I needed to kick-start my inspiration engine again! Going forward this season I’m ‘holding it all loosely, to not confuse my identity with my preferences, and to just enjoy the ride without needing to figure it all out.’ a sentiment I’ve adopted from my wise friend Caroline. In general, I’ve been attempting to loosen my grip on perfection in many areas of my life and my closet is just one. It seems like a time of transition for a lot of the folks I’ve chatted with lately and while this can feel a bit messy and uncertain, it can also lead to fresh starts and newly opened doorways. So here’s to a new season, letting some light in and following your heart! That’s it for my philosophical ramblings, now onto some spring style fun! Hair accessories are making a major splash this season and I’m so ready for it! I recently cleaned out my bathroom cabinet and found a couple of old barettes I’d saved years ago (shown above). Luckily they’re still in good shape and ready for their time to shine! I like wearing my hair half-up with a medium round barette or pinning one side back with a long slim barette or two. 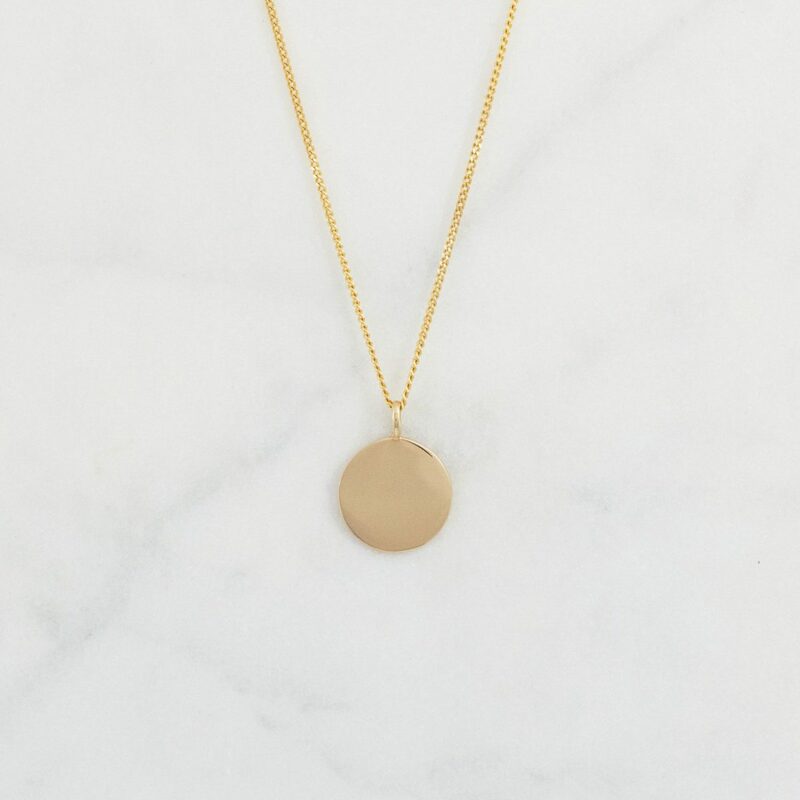 It’s amazing how something so simple can give your style such a boost! 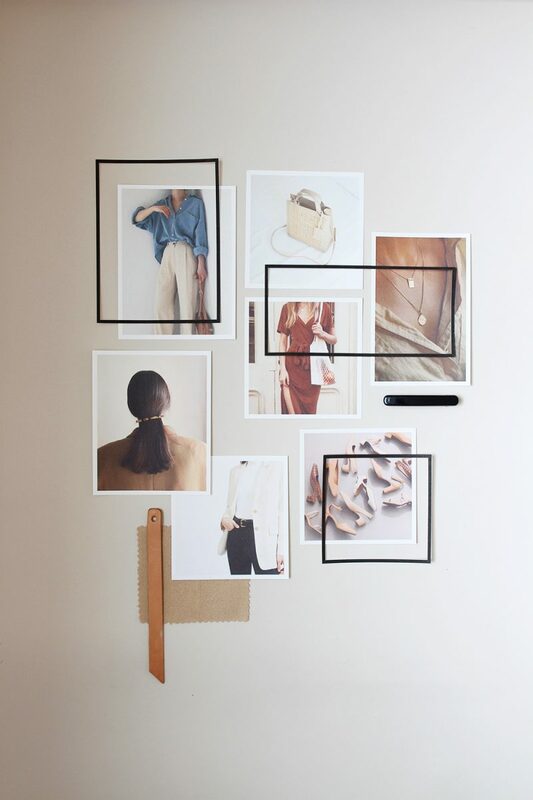 I love using these techniques to try something new and invigorate my personal style, without committing to a more costly addition to my closet. 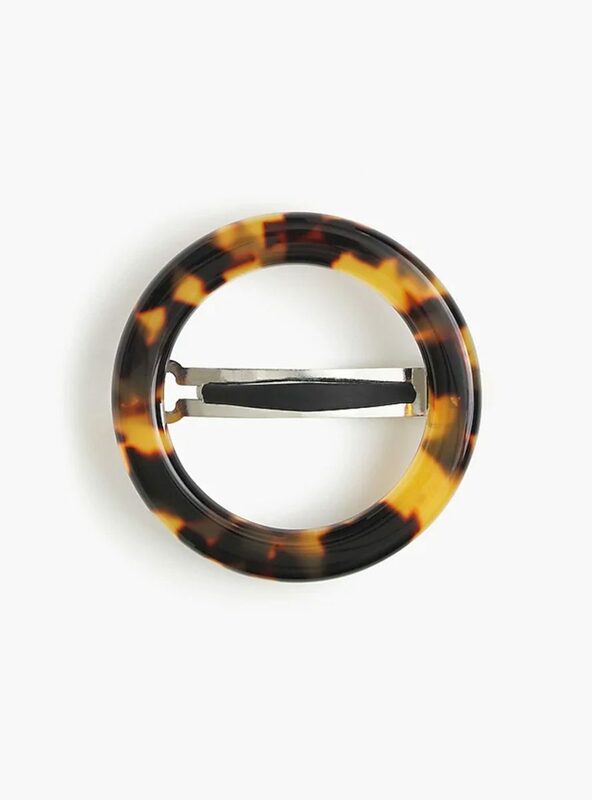 There are lots of other hair styling ideas on my radar so I’m pulling together a full post on hair accessories to try out, but until then, these are a few tortoise options I love! 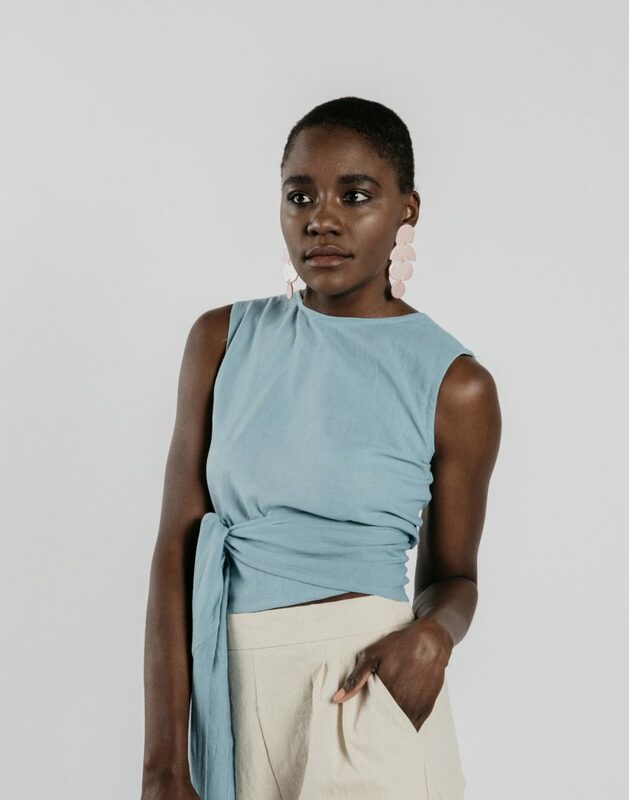 As you probably gathered, I’m not a huge dress wearer, but I’ve been majorly drawn to more feminine shapes and styles this spring. 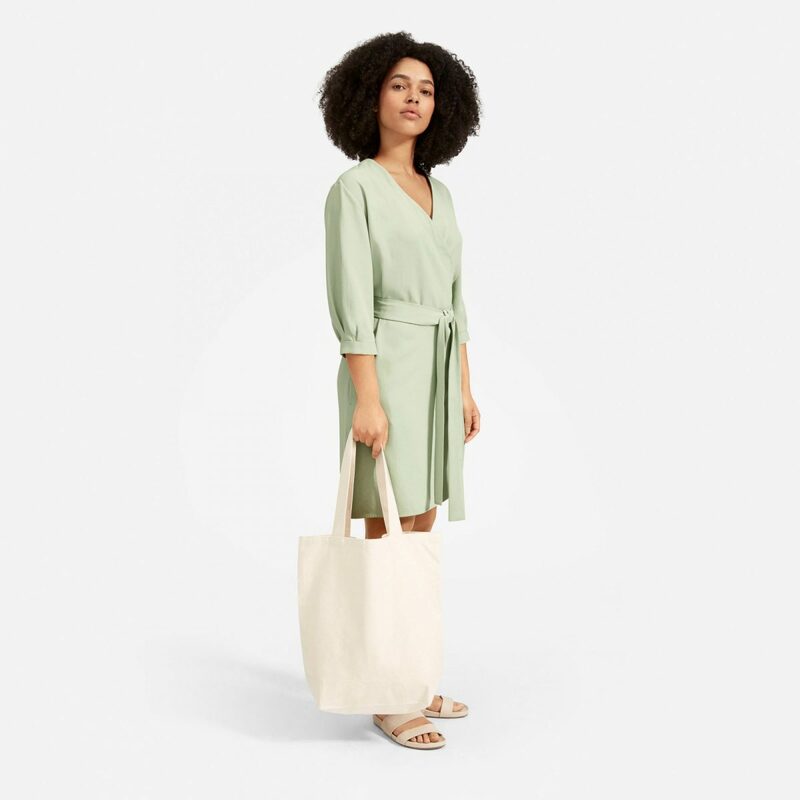 A wrap dress is one style I haven’t tried in ages and would love to work into my wardrobe. I find wrap dresses are a timeless style, meaning they transcend trends, that’s also wearable at any age. They are forgiving if your weight fluctuates and can work for a myriad of occasions from casual weekend fun to full out evening attire. 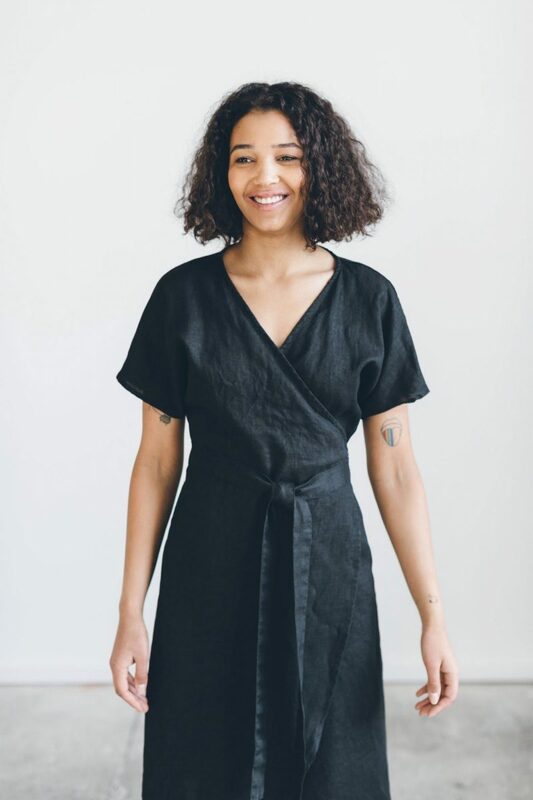 I’ve pulled together a few I love (one is technically a jumpsuit) and have my eye on below. 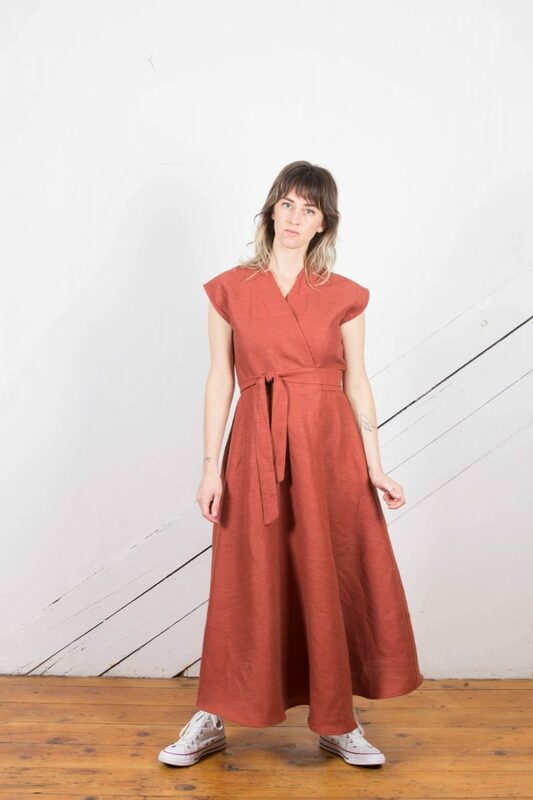 THE AUTUMN DRESS | CHRISTY DAWN | $238 USD | Made in Los Angeles | My Maid of Honour wore this dress at our wedding and I’ve coveted it ever since! | Save $30 USD on your order via this affiliate link. On the flip side of my attraction to ladylike pieces, I’ve been on the hunt for a great pair of tan or flax trousers. 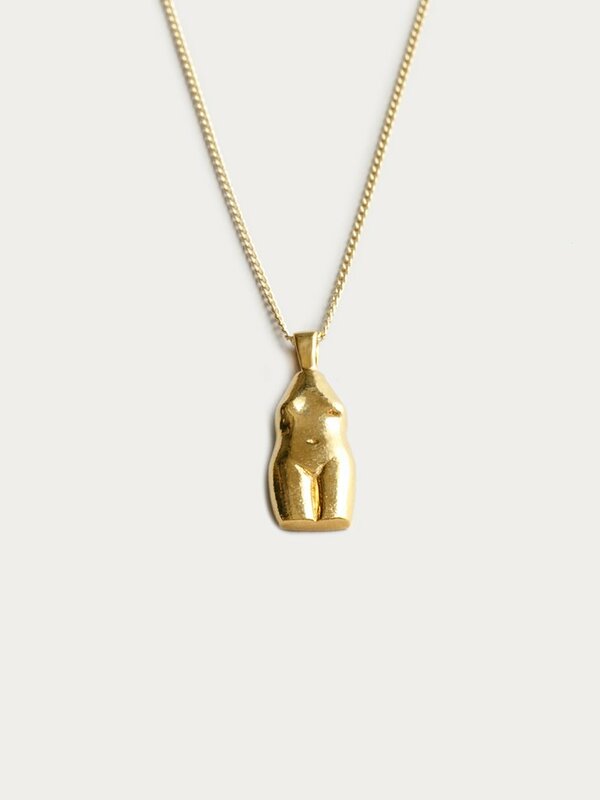 Something to balance out flirty wrap tops or to sharpen up a linen or cotton tee. I love the look of a warm light grey pant with a bright white or rich black and I know they’d blend seamlessly into my existing closet. 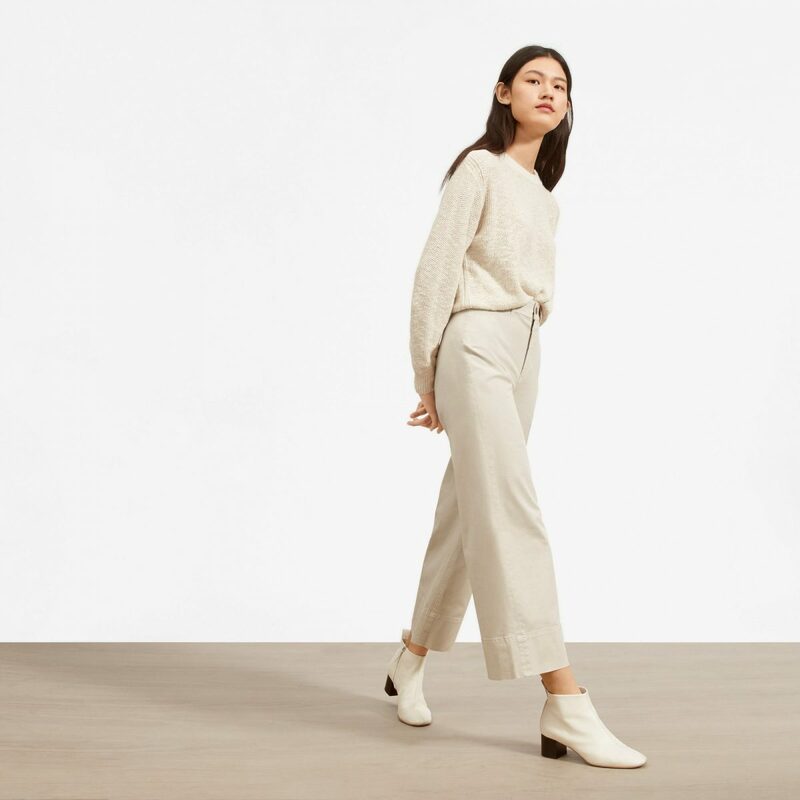 Right now, I’ve got the Everlane Wide Leg Chino heading my way, so I’m excited to give those a try! MARA TROUSER | CHRISTY DAWN | $238 USD | Made in Los Angeles | Save $30 USD on your order via this affiliate link. 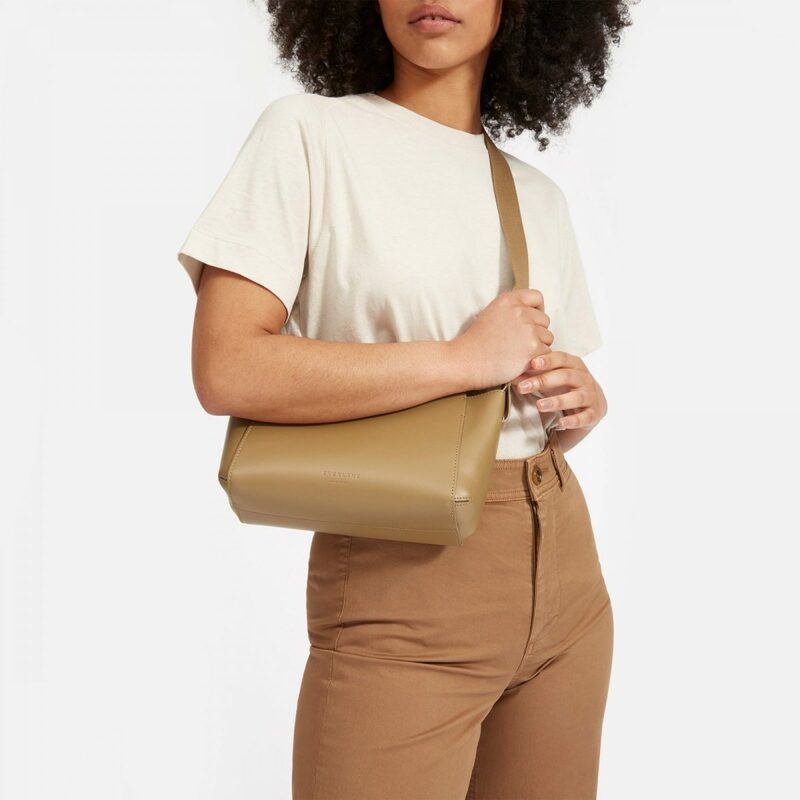 I’ve had the idea of a small but still functional statement bag on my radar since last year and can’t quite seem to shake the thought. I’ve been loving the unique shapes, colours and textures coming out this spring so I’m keeping an eye out. 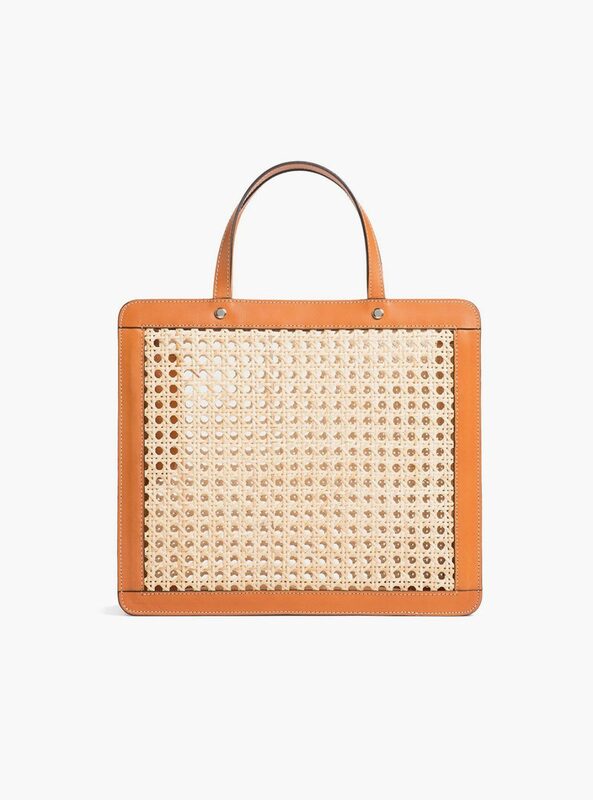 I’m particularly drawn to rattan for the warmer months ahead because it feels summery but when paired with a sharp shape and smooth leather it remains professional and polished. 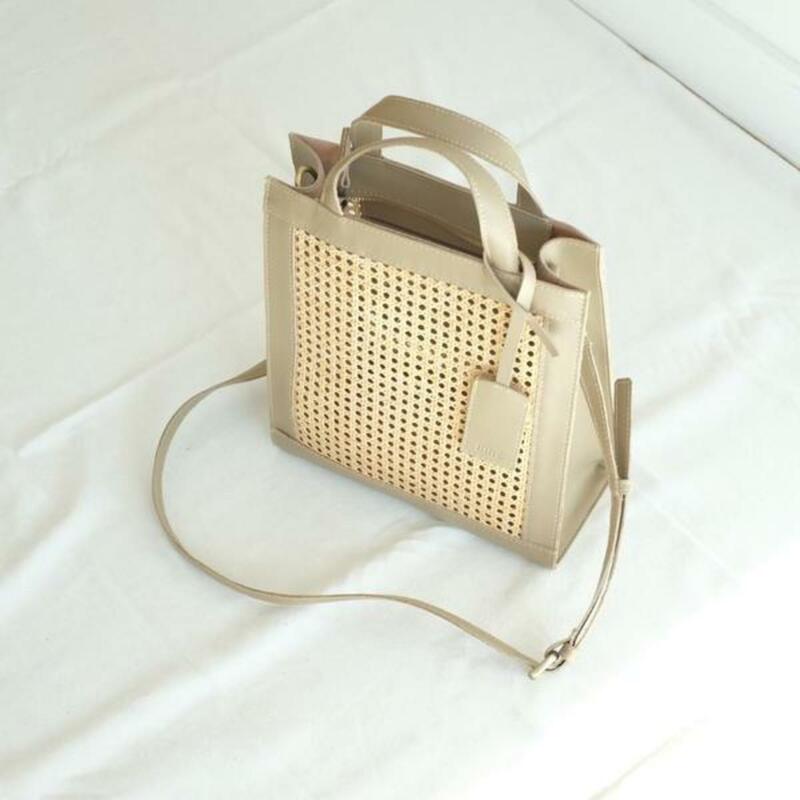 I love how a unique bag can transform a simple outfit and take it from basic to intentional. 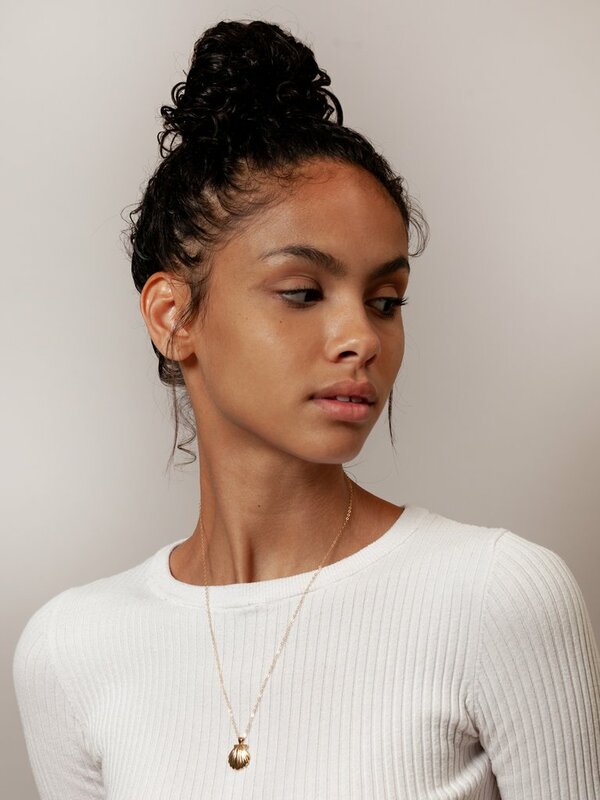 Accessories are also a great way to boost your style and inject some newness when your outfit options have been feeling a bit stale. VINTAGE COACH | MAGNOLIA VINTAGE via ETSY | $110.30 CAD | Vintage made originally in USA. One of my best additions last summer was a green floral mini dress and one of my favourite fall finds was a paisley puff sleeved top. Slowly adding a little bit of pattern and colour into my closet has been a great way to branch out and embrace a break from my usual neutrals all-day everyday. 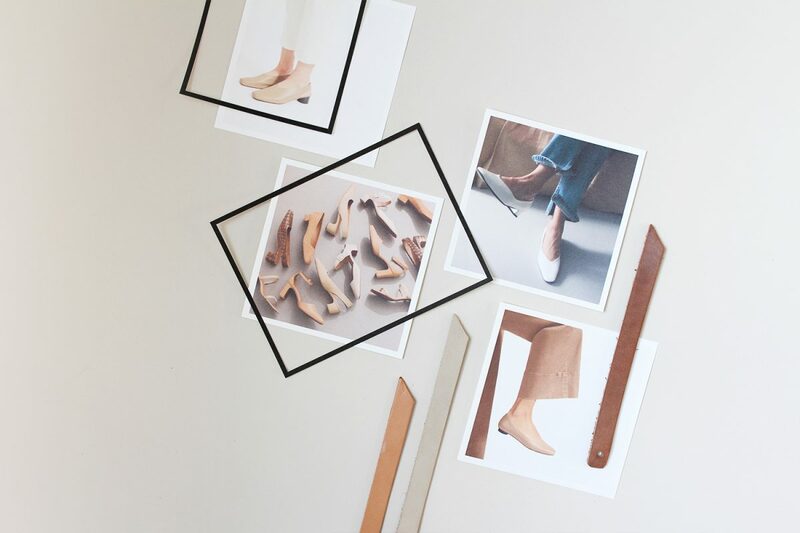 It only takes one piece to open up a world of options within your closet. This year I’ve found myself drawn to greens, blues and florals that give off a vintage vibe. Any one of these tops or dresses would be such a treat to wear on a sunny spring day! 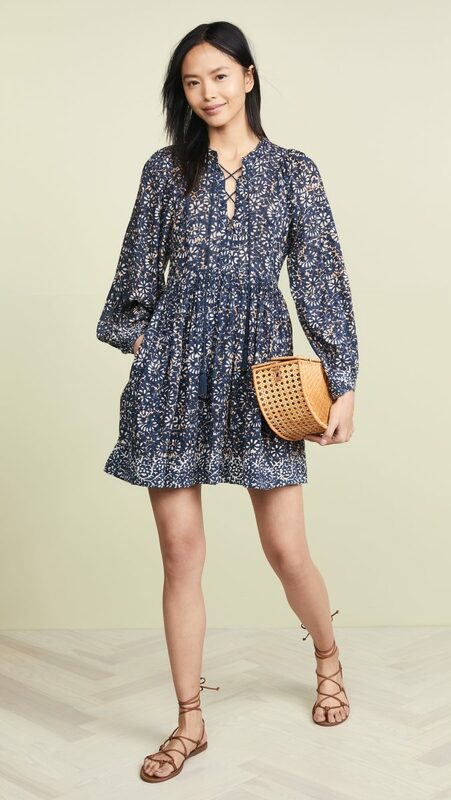 BASIL DRESS | CHRISTY DAWN | $318 USD | Made in Los Angeles | Save $30 USD on your order via this affiliate link. 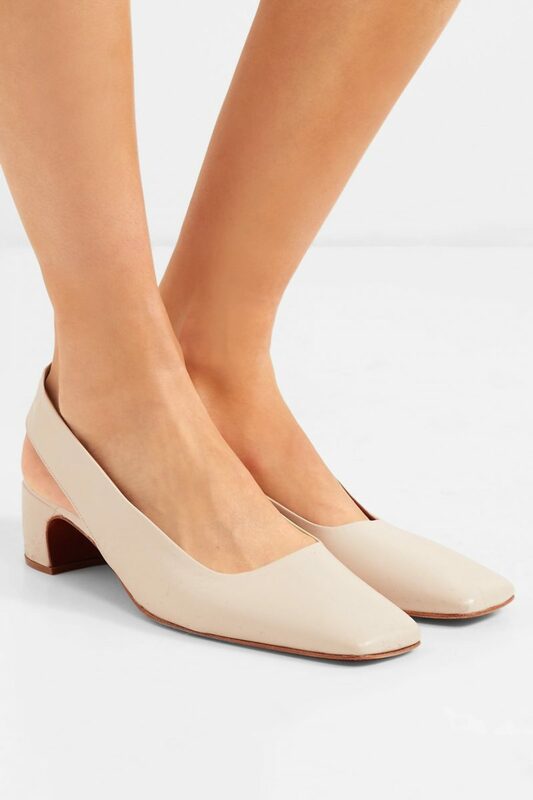 Perhaps you’ve noticed that square toes are making their way out of the shadows and into the spotlight this season. At first I was giving this tend some side eye but then I remembered my favourite fall boots had a square toe so I was already on board without even realizing it! Blazers are kind of like my kryptonite. I can resist just about everything else, but an oversized blazer in a pattern or fabric I’ve been eying? Not so much. 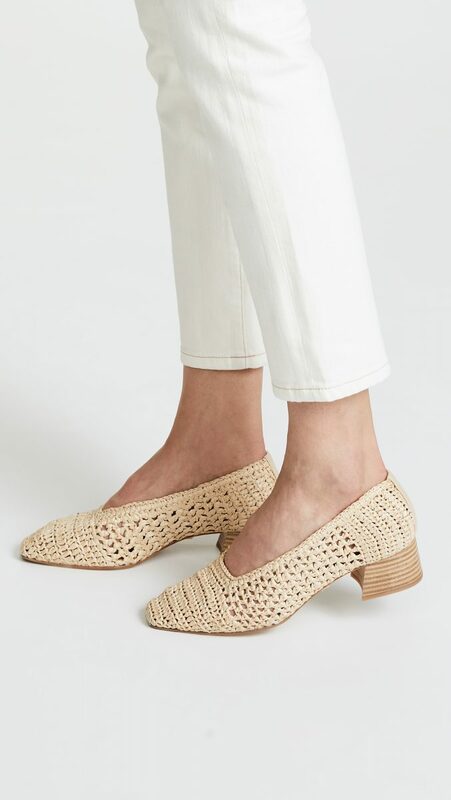 The good thing is that they’re a timeless closet staple and can work across any season and lots of lifestyles. Whenever I put one on I instantly feel empowered and ready to take on the world! The perfect white blazer has been a bit of a unicorn for me but I’m going to give the Cotton-Linen Blazer from Everlane a try this spring and summer. If all goes well I’ll be sure to let you know! 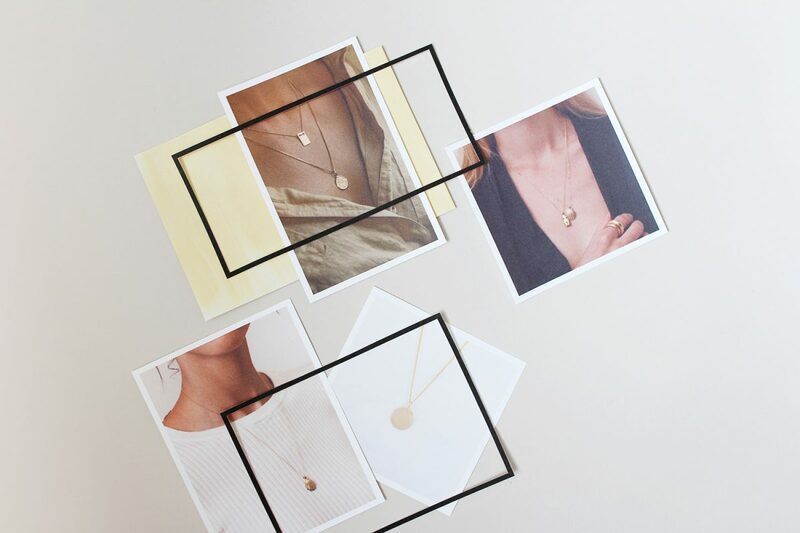 Last on the list we have layered necklaces. 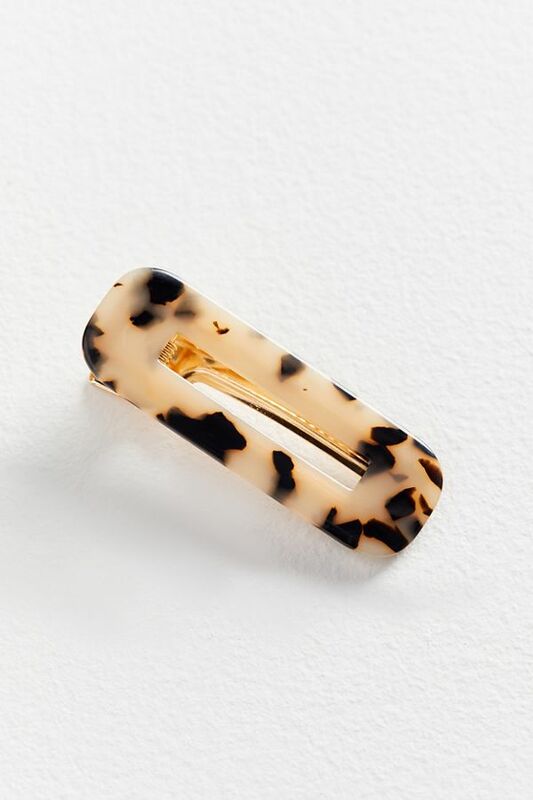 This jewelry trend was a big one last year and while I loved it I decided to wait and see if it had staying power. Turns out it most certainly does, plus, who cares if it’s still ‘on trend’. If you really like something go for it! For LOTS more inspiration where today’s came from. For all my fellow shoe-fanatics out there. For lots of arm candy inspiration. For fresh make-up and manicure ideas. For colour palette inspiration and lots of really gorgeous plants and flowers. 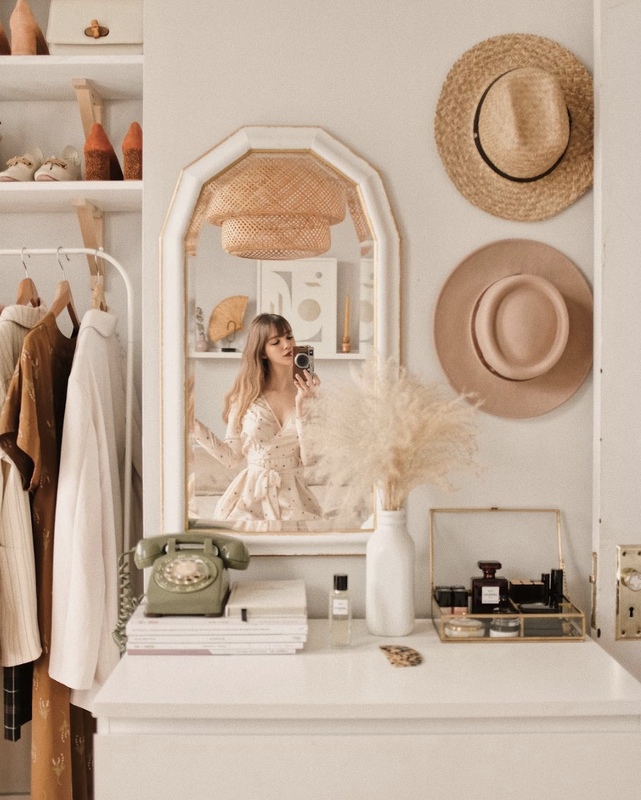 TOP LEFT | Montreal based creator and graphic designer @AUDREYRIVET serves up the dreamiest scenes, vintage Parisienne vibes and her apartment is a delightful medley of collections and coziness. TOP RIGHT | LA based photographer and stylist @SISILIAPIRING mixes colour and vintage into her looks in ways I’d never imagine but can’t get enough of! 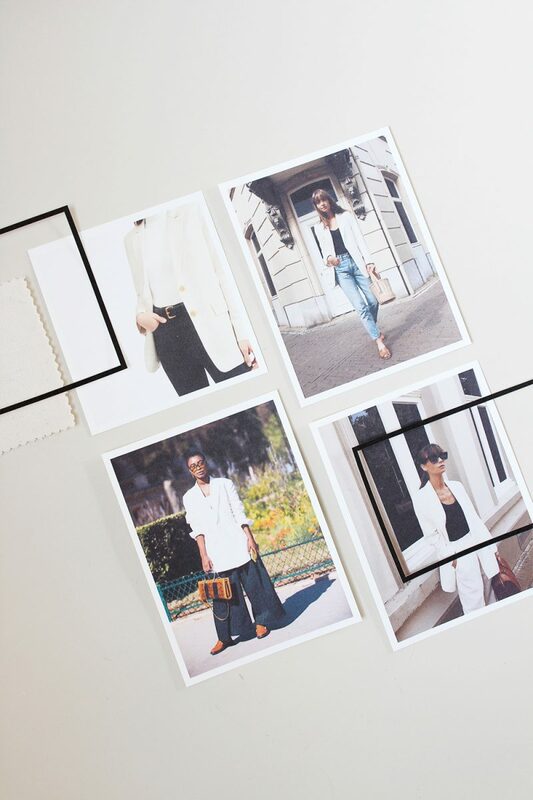 Sisilia’s road trip travels are another great reason to follow. 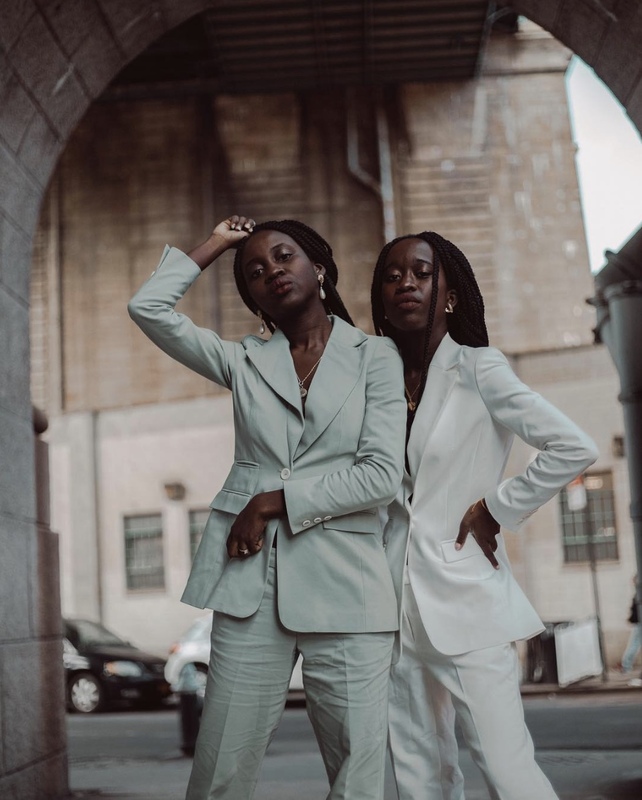 BOTTOM LEFT | NYC based sisters Shelcy & Christy @NYCXCLOTHES have an incredible eye for shape and colour with a knack for compelling story telling on top. These two are onto something big and I love following along. BOTTOM RIGHT | I’ve followed @JASMINEDOWLING for many years now and this Brisbane based letterer, creator and all-around business babe never fails to astound me with her talent, work ethic and personal style. 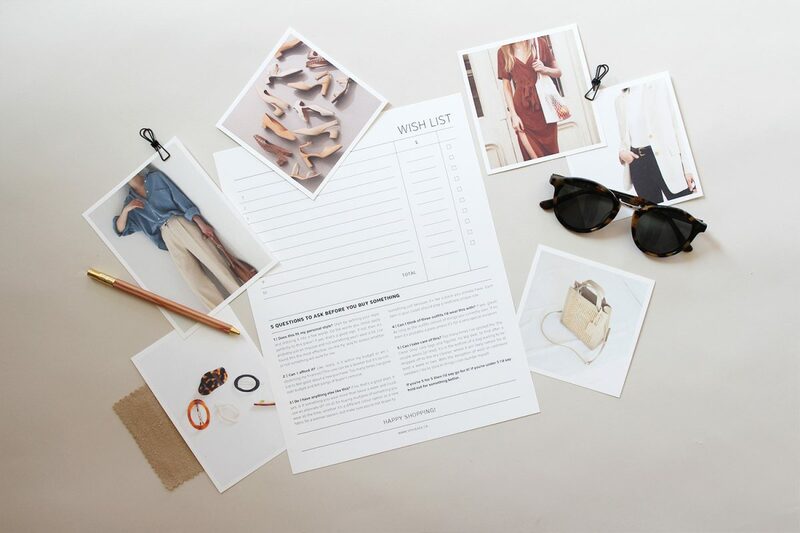 Before you create your wish list consider Defining Your Personal Style or identifying some Shopping Triggers if you’re not already familiar with either of those. This will be a better place to start than simply listing all the things you think you want or need. 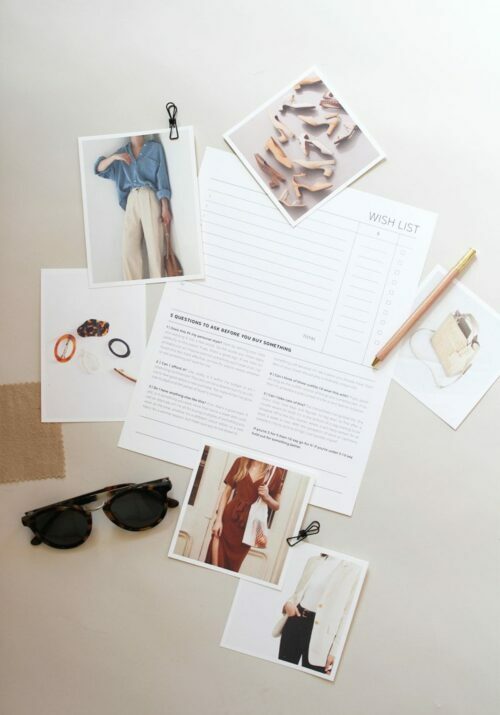 In fact, not knowing what you need or having a clear sense of what your style is can be a major catalyst for impulse shopping and overspending. Take my word for it! What activities will I be doing most? What do I keep wishing I had already? What was I missing this time last year? Keep your list to 10 items or less, which sounds easier than it is. You can certainly start with many more but once you’ve got everything listed, start eliminating items by using the 5 questions in the worksheet. Try to whittle it down to 10 or less. If you change your mind on something, that’s cool! Nothing is set in stone and you can switch things up any time. Don’t settle! This is a wish list right? So don’t sell your dreams short by under-cutting what you really want. If it means you can only put 3 expensive things on the list that’s better than putting 6 things that aren’t what you 100% love. Put the list away and forget about it for a few days. Next time you review it ask yourself if anything fell off your radar when you weren’t thinking about it. That’s a good sign that perhaps an item might not be as high a priority as you thought. Run the numbers. If you were to actually buy everything on the list, what would that set you back? I always find this step to be a bit of a wake-up call, which isn’t a bad thing. If you can’t swing a certain item this season, don’t feel discouraged. When next year comes around and you still love it, go for it then! Keep it handy. This is more important than it seems. If you keep it handy, on your phone or in your wallet, you can refer to it when you’re tempted to impulse shop or if something else catches your eye. Compare what you’re tempted to get with what you really want. This quick comparison is usually all I need to remind myself to wait and save for the item that I know is worth it. C’EST TOUT! 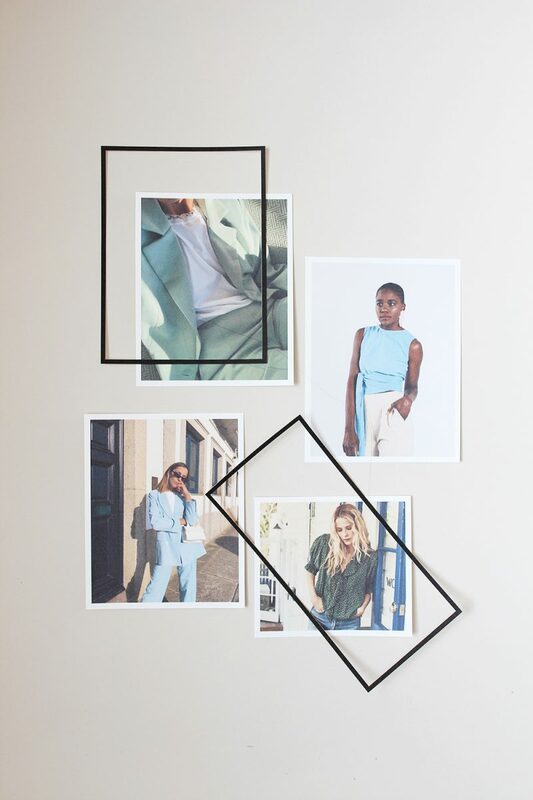 THERE YOU HAVE A SELECTION OF MY FAVOURITE STYLE IDEAS FOR SPRING! I’D LOVE TO HEAR WHAT YOU’RE EXCITED TO TRY THIS SPRING SEASON! I LOVE all the recommendations here! 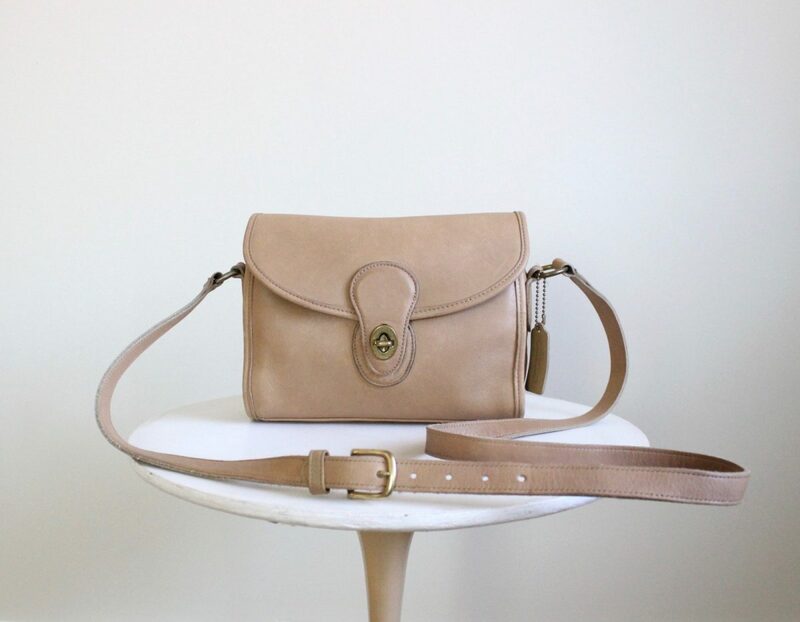 That vintage coach bag you found at the Magnolia Etsy shop had me logging into my Etsy account in minutes and purchasing the best little vintage bag! Thank you for all the wonderful ideas. It is always a treat getting to read your posts. 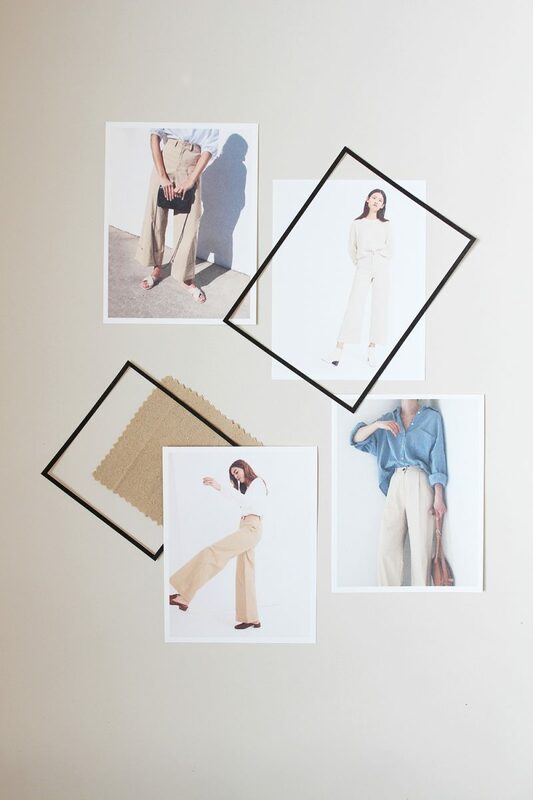 Another wonderful post – love the cream and beige inspo, and I cannot wait for your review of Everlane’s chinos. still no sign of your message on FB. 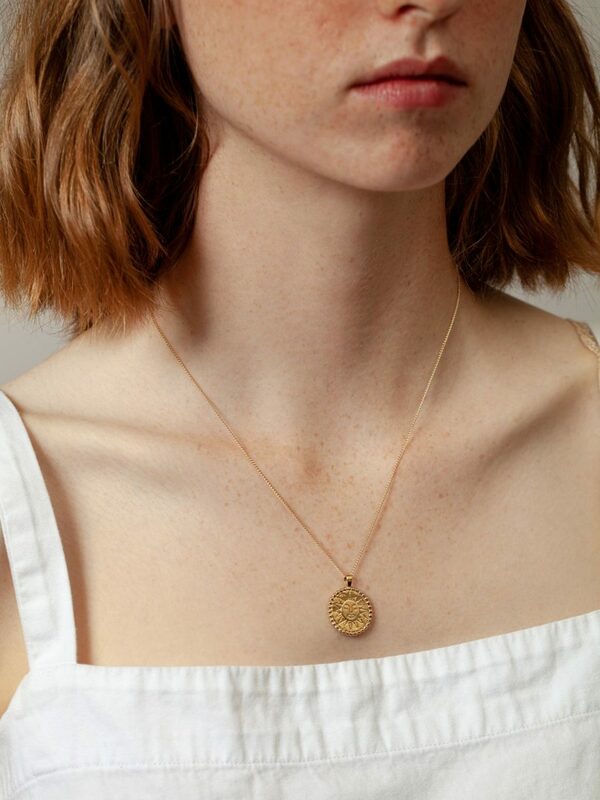 If you start experimenting with layered necklaces, please let us know how you style them and how you keep them from becoming a tangled mess! I love the look, and have attempted it myself, but I always spend my day unwinding and unknotting the chains, and it drives me crazy. Maybe the chains need to be heavier or something? I dunno. I love the cream/beige neutral pallet you’re choosing this season. 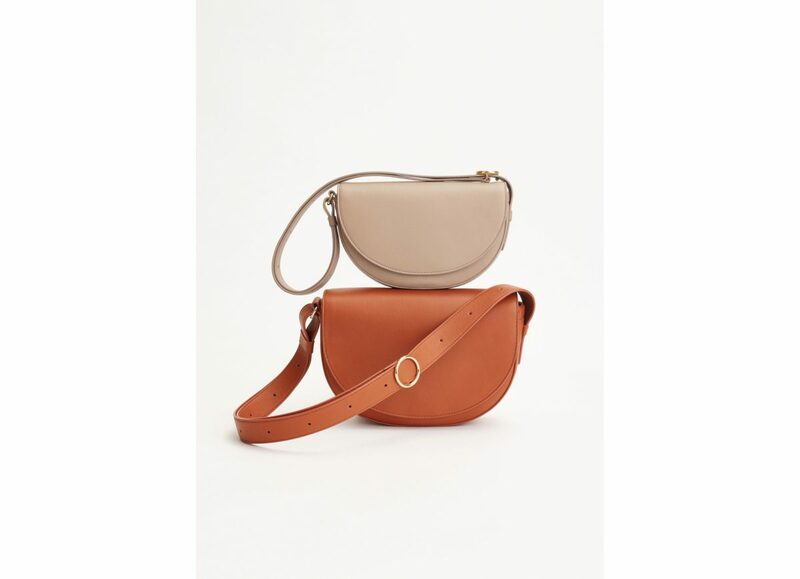 The base is so great to accessorize, especially with the barbets you’ve shown. Adding a splash of colour with a denim or print shirt will give one a boost on a rainy day! 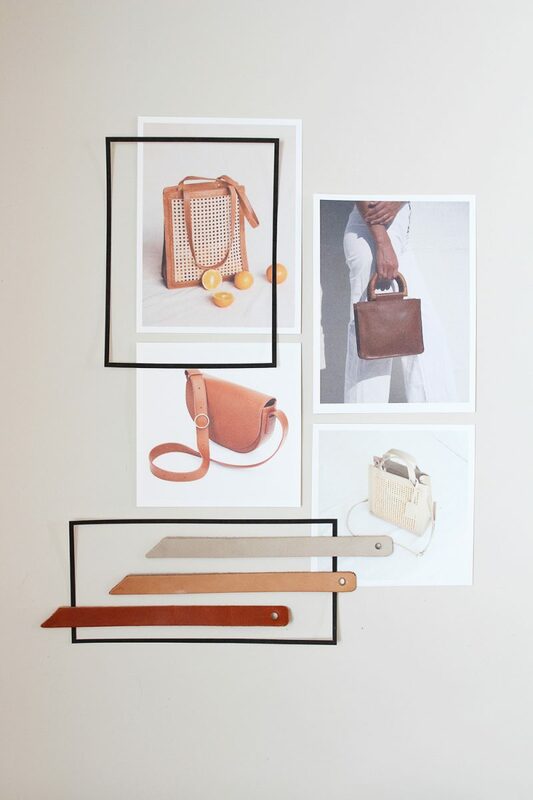 Thanks so much for sharing your spring inspiration, and the variety in price ranges is always appreciated. Lots of great inspiration hear! 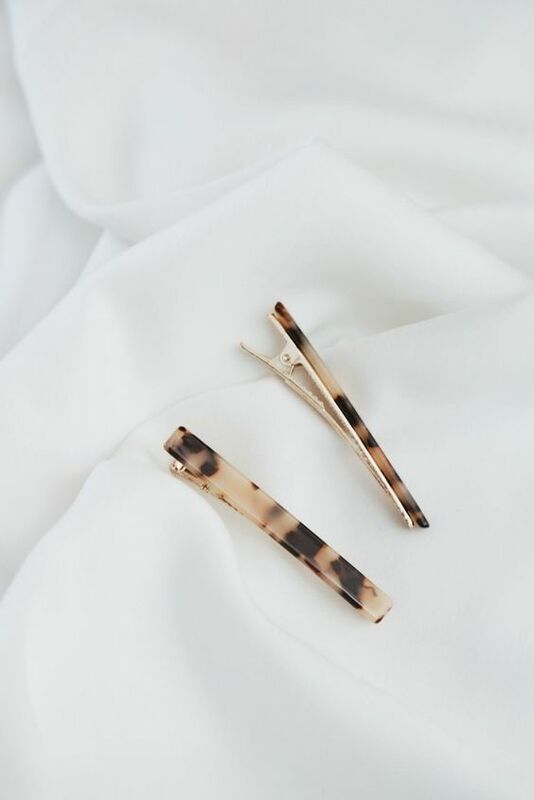 I would love to know if there’s anywhere you would recommend for more ethical hair accessories – that’s something I only know how to buy from fast fashion brands. 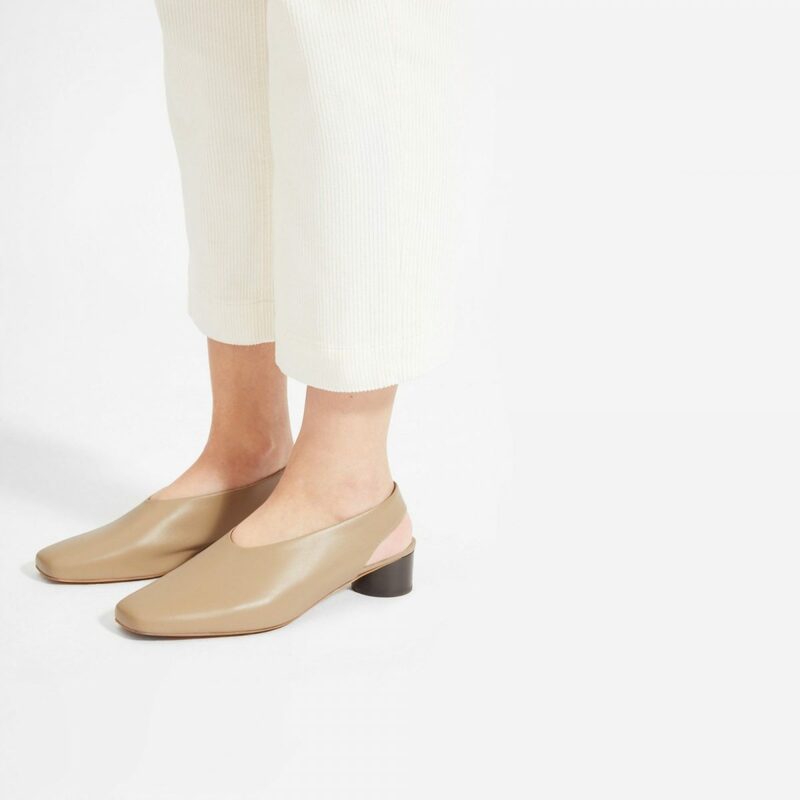 Also, PLEASE tell us more about the Everlane wide leg chino when you get them! 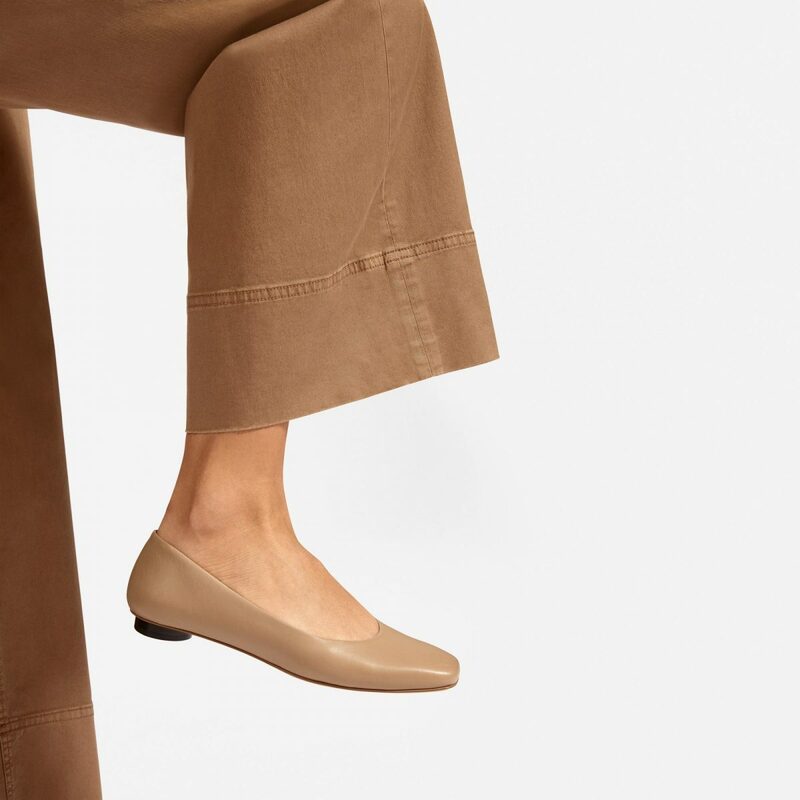 I’ve been eyeing these and similar Everlane styles but scared to commit to online purchase of pants with more fabric, as I’m a very petite person. Thanks for reading Sarah! So I’m deep in recon mode sourcing for the spring hair accessories post I mentioned and it is HARD to find reliable options that are explicitly made responsibly. I’m not giving up though! Thank you for taking the time to reply to my FB message. I can’t speak to Not Perfect Linen, but I was super impressed with the quality and color of a top and a pair of pants I ordered from Linenfox (also Lithuania, also from Etsy). 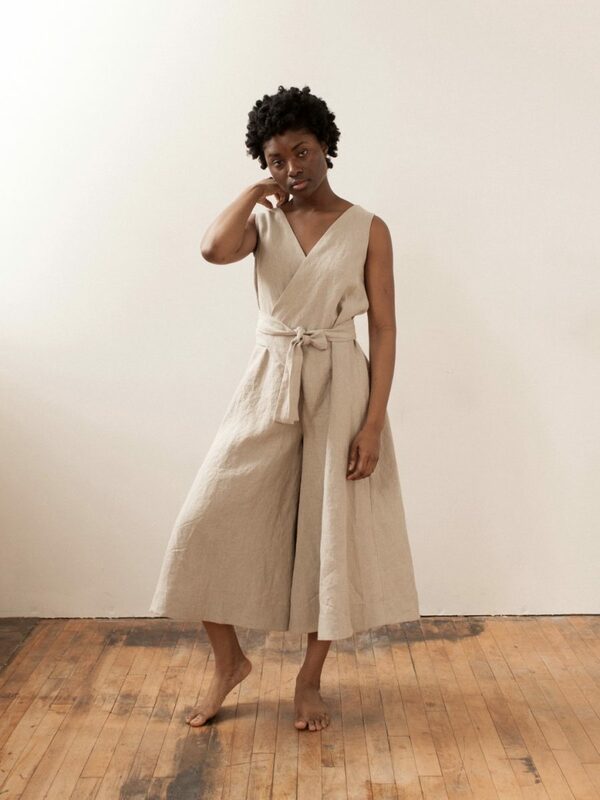 They are not as soft or heavy as my Elizabeth Suzann pieces, but they’re great for the price and still, from what I understand, small batch and sustainable (especially the wide legged pants). I don’t love the environmental impact of shipping from Lithuania vs. Nashville (I live in the Midwest), however, so I’m not sure I’ll do it again. Thanks for sharing your thoughts and experience Kate! I too love linen and have been eyeing some shops on ETSY particularly Not Perfect Linen, also Lithuanian. I am a bit skeptical of ordering on line and wonder if the picture lives up to the delivered goods. I am also wondering what the final cost will be with postage and duty. I will be following this post. 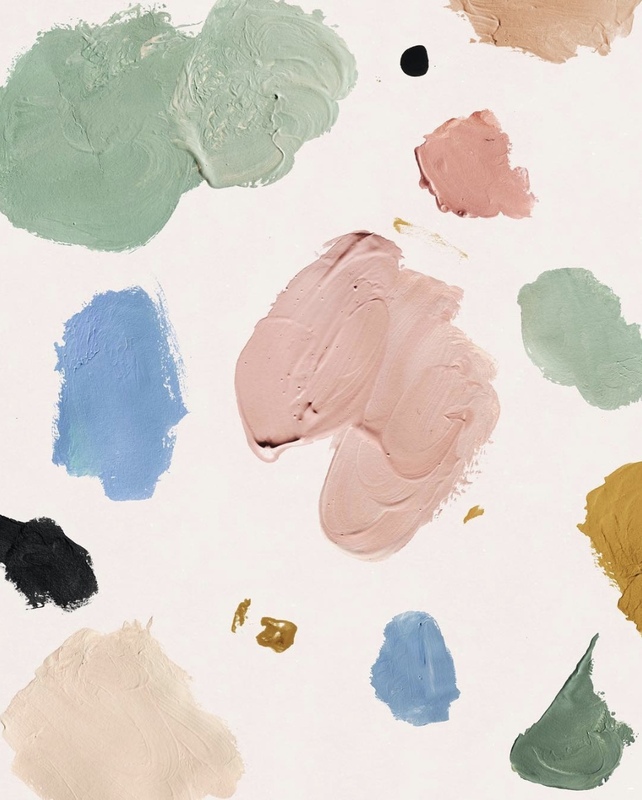 Hi Elizabeth, Not Perfect Linen sells a full set of their linen swatches but I also think their photo colours are probably pretty true to life (based on how items look on customers on instagram). ETSY shows what the shipping cost is on the product page and you can usually assume customs/duties will be about 15% of the item cost. I hope that helps! Because I read some reviews about Not Perfect Linen I have recently bought some items. The quality of the linen is great and the pictures really give a good image of the product. You really have to carefully look at the measurements and compare them to things that you already have because a lot of the items are rather oversized. Just downsize and you’re ok.
One thing I forgot to mention: when you place an order they send you a sample set for free with your puchase. I love your picks! 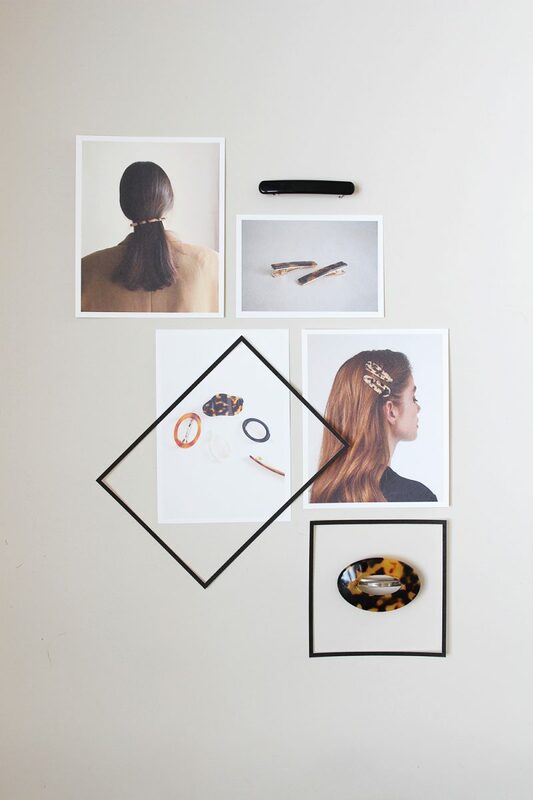 The barrettes are a particularly fun trend this spring! Thanks Sarah! Totally agree. There are some really chic and sophisticated styles out now. Such a fun and inexpensive way to change things up! I love all the beautiful pictures above. They are really very spring-ish and I can’t wait for spring to arrive. 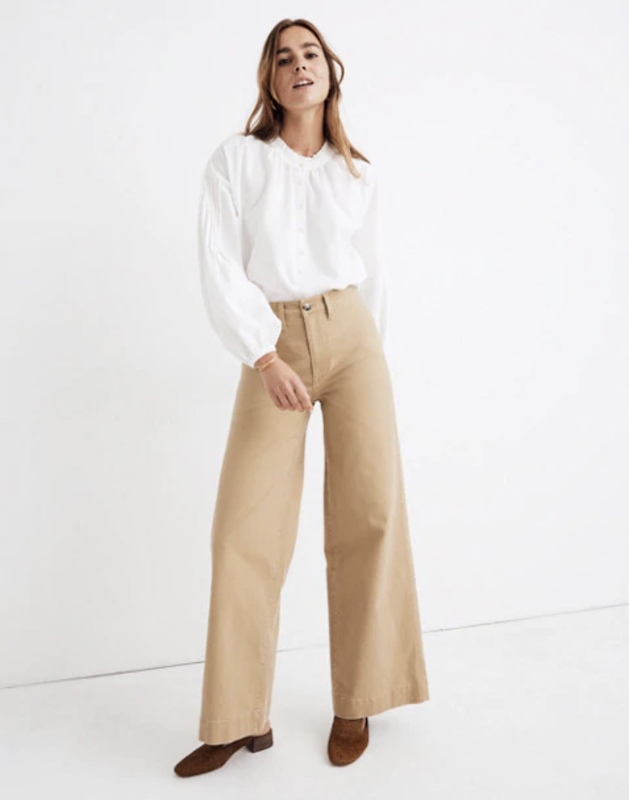 I have also my eyes on the wide leg chino of Everlane and it’s on my wishlist for my next year visit to the states. 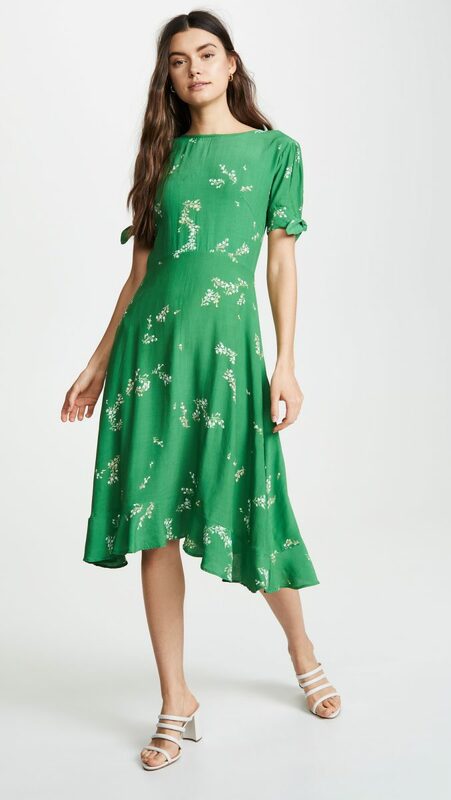 The wrap dresses are very nice but I have found over the years that it is just not for me. Because my boops are not the smallest I’m always very self conscious and not at ease. Thank you by the way for showing the Machete hoops on one of your posts. When I saw then on your blog I did some research and I have been able to order 2 pairs in Amsterdam and they will arrive tomorrow. I love the classic tortoise. I also ordered the mid weight t-sweater from J+J. After eyeing them for some years I pulled the trigger 2 weeks ago when they a sale with 20% off. I have sent you a message through FB regarding your experience with it (if I recall you also own one) and how it held up during time. I would love to hear how you feel about it.